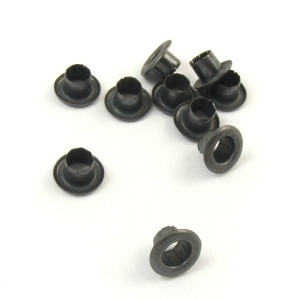 This is a pack of 100 brass eyelets with a black surface and an internal diameter of 5.5mm. Eyelets are used to reinforce holes in thin leathers. 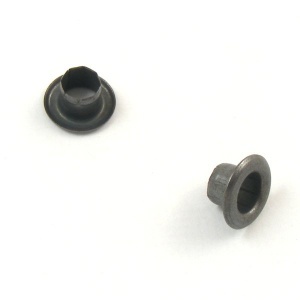 These eyelets have a central tube which is 4mm long, making these eyelets suitable for leathers of up to 2.5mm thick.